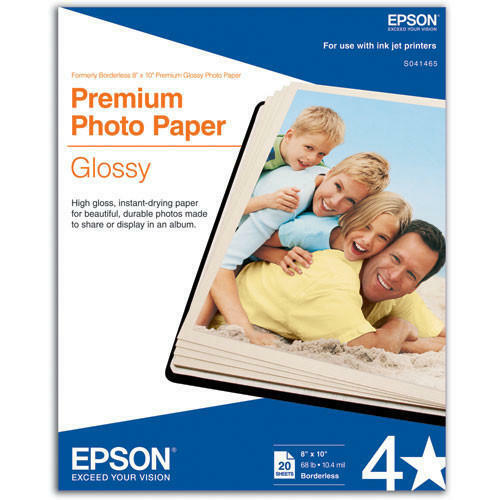 Size (l x b in Inches if custom size needed) 8" X 10"
Bestowed with vast knowledge, we are offering a premium quality gamut of Epson Premium Photo Printing Paper. Amit Chem Traders is a distinguished trading of a wide range of X Ray Films, Sonography Products, Medical Equipment, Lead Sheet, etc. Founded in the year 1999, we are a Sole Proprietorship company that is incepted with an objective of providing high quality products in diverse specifications within limited time period. Situated in Vadodara (Gujarat, India), we have constructed a wide and well functional infrastructural unit that plays an important role in the growth of our firm. Under the headship of "Mr. Amit Amin" (Proprietor), we have gained huge clientele in our country.